Stretching can and should feel wonderful. When we stretch healthy tissue, we should experience a sense of comfort and ease that leads to a greater range of motion. And the more we stretch over time, the more our freedom of movement should improve. So why is it then that stretching can feel so painful at times? Why does tissue contract? Why do nerves become more reactive? Why do muscles go into spasm? And what can you do about it? Let’s take a look. Muscles live in various states of tone. Like a dimmer switch, they have different levels of on. The more on they are, they more active they are. The optimal level of muscle tone depends on the task at hand. 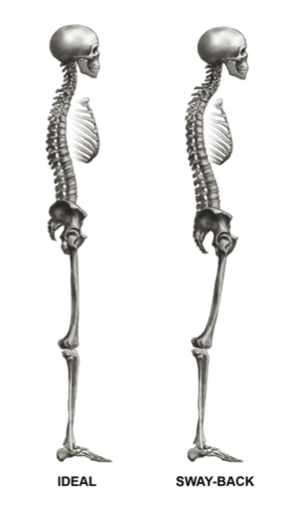 To support posture, for example, muscle tone should be neither too tense nor too relaxed. Don’t worry; you don’t have to manage this. Your nervous system takes care of it for you. And a good thing, too, because without it you wouldn’t be able to sit, let alone stand! Sometimes, however, in an effort to protect you from an underlying weakness, poor core stability, poor postural alignment or some other issue, your nervous system cranks things up, excessively increasing the tone of a muscle to the point that it’s always on – or in what’s known as a hypertonic state. In summary, pain can occur when muscles are in a constant state of contraction. And if you stretch a muscle that’s in a hypertonic state, it will respond with increased contraction. And grumpiness! While one might assume that muscles with high tone are strong and that muscles with low tone are weak, that’s not always the case. Just because a muscle can spasm (100% contraction) doesn’t mean it can modulate strength and work at various levels of activation as is required for healthy function. We advise clients to: Try gentle strengthening and see if the problematic muscles respond well. Our bodies have a system of deep, local muscles whose primary job it is to support and guide us rather than actually move us. When these muscles are not offering adequate support, other muscles can take over in an effort (albeit an ineffective one) to provide stability. 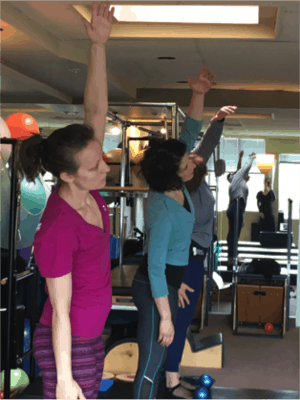 We advise clients to: Work on improving core function, keeping in mind that core muscles aren’t just located in the trunk; they’re located throughout the body. Various postural positions can put muscles on perma-stretch, creating a reflexive spasm. If we sink the pelvis forward in standing, for example, we put the hip flexors (including the psoas muscles) into a constant state of stretch, triggering a protective spasm. We advise clients to: Try adjusting posture to offload the stretch. Does the muscle feel looser and easier after stretching? Pay attention to the before feeling as much as the after. Do you feel the urge to stretch again 30 minutes or so after stretching? That tight sensation shouldn’t return that quickly. Does the area feel comfortable and happy during the stretch or do you wince and hold your breath when stretching it? Stretching should leave you feeling at ease. Stop stretching for a few days and observe. Do the muscles get tighter or stay the same? Do you experience slightly less irritation? Let the response guide you. Coax, don’t force! Go into stretches gently and slowly. Stay in an easy range. Consider mobilizing the grumpy area rather than stretching it. 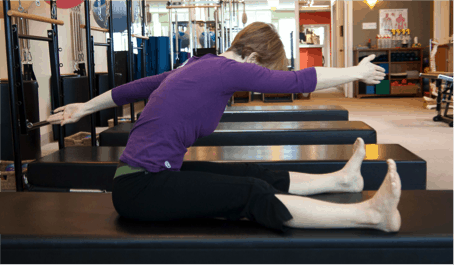 In Pilates, we go in and out of the end-range of motion but rarely hold a static position. This tends to be easier on muscles that are in a hypertonic state. Ask your movement teacher (Pilates instructor, yoga instructor, personal trainer, physiotherapist) for a low-load strengthening exercise. Make sure it’s targeting the correct muscle group and that you’re doing it correctly. Want to bring back ease and comfort to your stretching routine? Remember: Always consult with your health care professional if you have any ongoing pain or pain that worsens.